3, 6, or 9 - That’s how many fat quarters you will need for this class. 3 if you want to make a table runner. 6 if you want to make yours like the pattern. 9 if you want to make one like my sample. We will be using the QCR mini ruler. Not only will it help us cut our curves but it will help us square up our blocks. 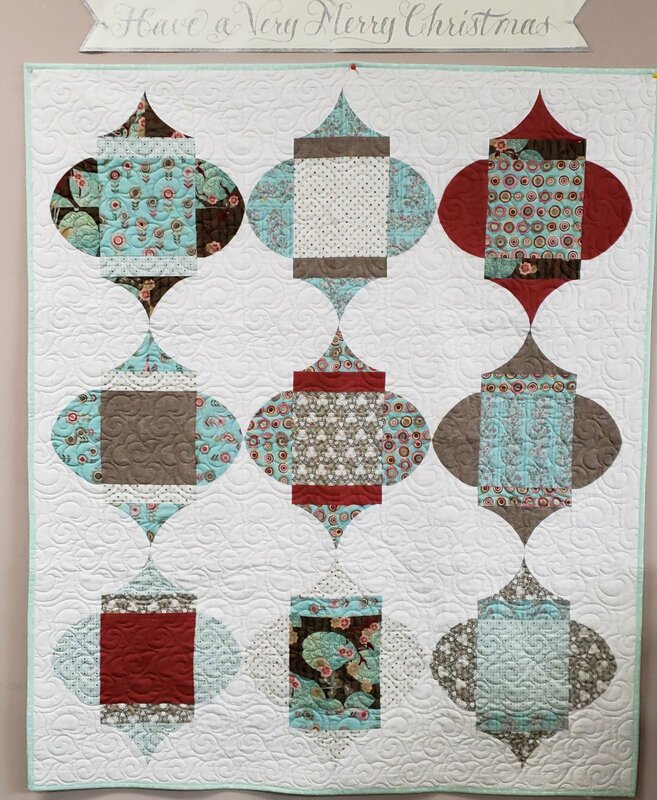 If you have never tried curved piecing, this is a good quilt to try as it is not as hard as you think. Come join us and try something new to add to your quilter’s tool box.